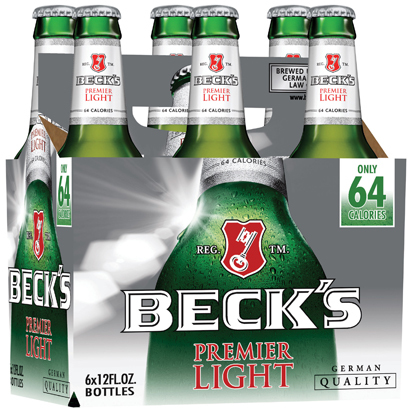 Beck's Premier Light first hit American grocery store shelves in March 2005 as the lowest-calorie beer available in the United States at the time. Still among the elite of low-calorie beer options on the market, Beck’s Premier Light has only 64 calories and 3.9 grams of carbohydrates per 12-ounce serving. If you’re thirsty for a great-tasting brew but watching your caloric intake, Beck’s Premier Light is the perfect choice. Brewed by: Brauerei Beck & Co.